Have a question for Angelic Mansion? "My family is also impressed with the cleanliness of the hotel." "It has one comfort room with toiletries." "The staff was very helpful and the location was very good." 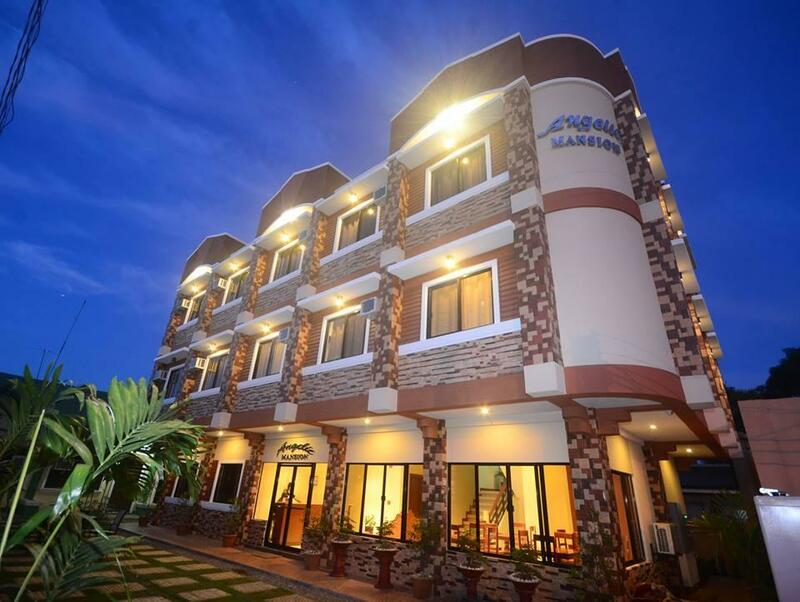 "I commend the lady who served breakfast she is friendly and..."
Angelic Mansion is a newly-built property that's centrally-located in Palawan, offering guests the perfect accommodation for exploring this vibrant city in style. This location allows guests to easily access local business and city attractions. The property is located approximately 15 minutes away from the airport, and a 10-minute drive to Robinsons Mall. 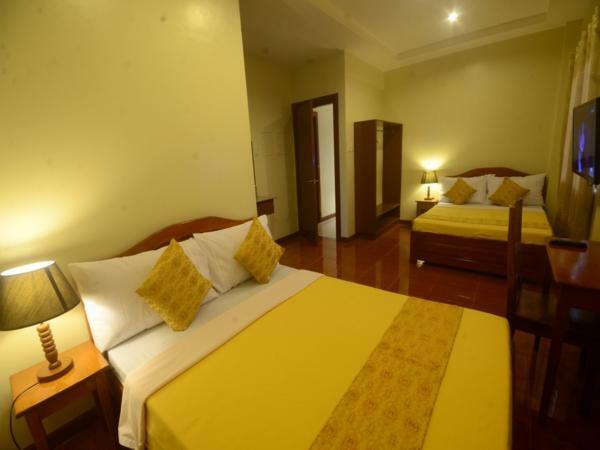 Angelic Mansion features 18 deluxe rooms and 2 family rooms that can accommodate up to six persons. 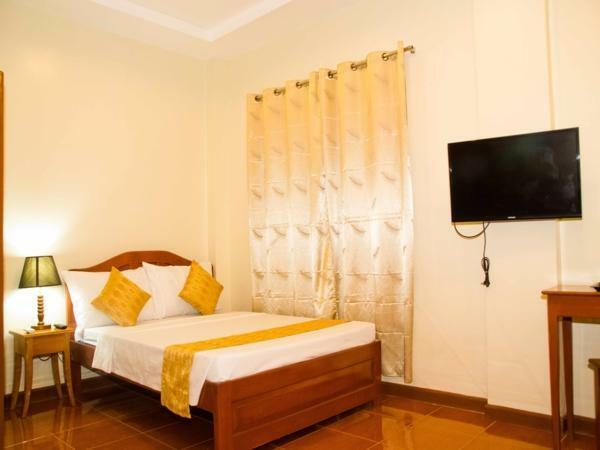 To ensure that all guests enjoy a wonderful stay, the hotel offers a vast array of amenities such as air conditioning, satellite cable TV, laundry services, Wi-Fi access in public areas. 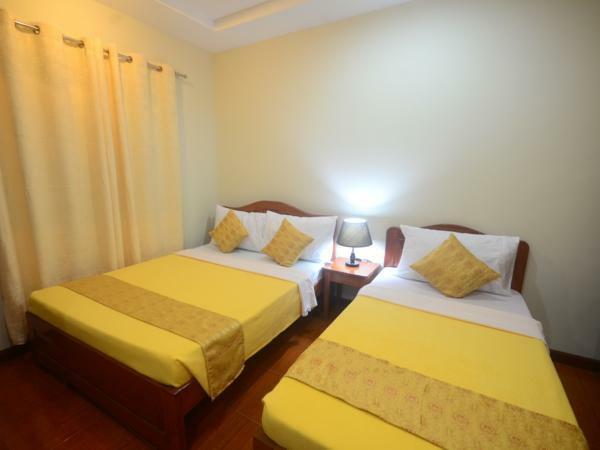 Moreover, the complete list of recreational facilities is also available, including massage services and a garden. Comfort and convenience, along with service to match, are key ingredients for a great stay at Angelic Mansion. "The staff was very accommodating with smiles in their faces..."
Depending on your intentions of stay, in my case I was only transferring from El Nido to PPS airport. This place is very close to the airport. You can just ride a tricycle towards it and give a driver 50 php, but he was so helpful so I added extra more. The breakfast was very protein like and if you’re vegetarian you may want to do special request ahead of time. My transition experience was great, the pillows were too high though. Thx! The location is perfect, not crowded but near to restaurants, stores and airport. The staff and owner are gracious and helpful. Our room is clean, big and spacious. Always have water (hot and cold shower). WiFi needs improvement as I was not able to connect to it . However, the place had a good phone signal so it was ok. Will book to this place again when we visit Puerto Princesa. Great services, hotel and stuff. Recommend this hotel! The place is clean. Location is great. Downside is staff are a bit all over the place. You tell them something and they would "forget." There does not seem to be a proper turn-over of information once a different shift starts. One of them is pretty rude. Instead of apologizing for a mistake, she turned sarcastic and defensive. thumbs up!!! very accomodating staff. Recommended place to stay. The hotel is clean inside and outside. Freezing cool aircon, friendly and accommodating staff. Strong wifi. Food is served accordingly. Near the airport and establishments. Spacious room. I will definitelt book the same hotel next time. Overall, had a good stay. Recommended. Nice pero wala lng elevator. The pool is cute.my baby loves it. Made a last minute booking to this accommodation due to its affordable rate however it is disappointing that there's a lot of things that should be included in the rate aside from the breakfast for example complimentary water and airport pick up and drop off. 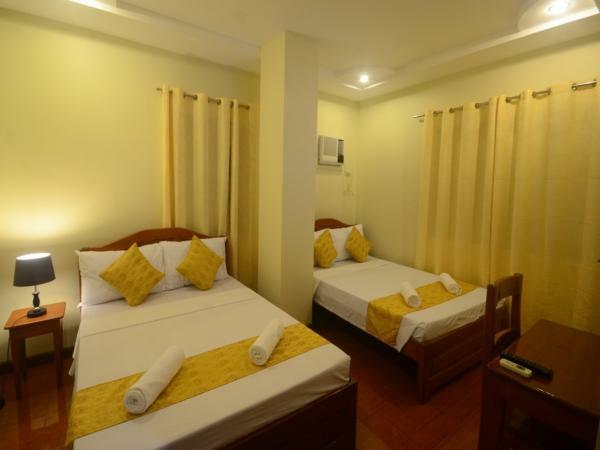 Also the establishment improve room amenities like putting thicker linens, full length mirror, stronger in-room wifi connection, clearer cable tv reception and a sound proofing of rooms to unwanted noise coming from outside. Airconditioned are so warm so we need to use electric fan. Barado ang sink sa bandang toilet bowl. Receptions are not accomodating. I commend the lady who served breakfast she is friendly and kind. masipag pa. yun din gardener kasi pinayagan kami mag swim kahit past 10pm na. Broken TV, leaking CR, Aircon is not cold. Rooms are spacious, but that's just about it. Free breakfast is meh. Hope for better breakfast; better bed especially the sheets. The staff were really friendly, location is very accessible. But we were quite disappointed as we were told that their van can drop us off the airport but only to find out that the driver was on a tour. With that, no other options were given to us. Anyways, still recommending this for short stays. Puhas, sõbralikud teenindajad. Mõne minuti kaugusel lennujaamast.